Lenovo launched two new budget smartphones this week one is the Lenovo K9 which is priced at Rs 8,999 and the other one is this the Lenovo A5. So lets Start with the features and Specifications of the same. Starting with the camera it has 13 MP shooter at the back with f/2.2 Aperture and for the front it has 8 MP shooter with same f/2.2 Aperture, both cameras can record up to FHD at 60 fps. For Beautification it has Soft Light Beauty Mode. The Lenovo A5 runs on Android Oreo 8.1 with the August Android Security Patch out of the box. This phone has 5.45 inch 18:9 Ratio Display with a Resolution of 720 x 1440 pixels (HD+) Talking about the Processor it has Quad Core MediaTek MT6739 SoC with the Clock speed of 1.3 GHz. This phone comes with two Variants the first one has 2GB of RAM & 16GB Internal Storage and it is priced at Rs 5,999, the other one has 3GB of RAM and 32GB of Internal Storage and this is priced at Rs 6,999. Other than this both the Varients are exactly the Same. fortunately the storage can be expanded by MicroSD card up to 256GB. This is a Dual Sim device with Triple Slot here you can put two Nano Sims and one MicroSD Card at the same time. Talking about the battery it has 4000mAh capacity which is a 1000mAh more than the Lenovo K9. This Smartphone also supports 10W Quick Charging. With the USB 2.0 this phone is OTG Compatible and it also has 3.5mm Headphone Jack. There are few Audio Enhancements done to the device It has Dirac Audio with Bottom Ported Speaker and 2 Microphones. 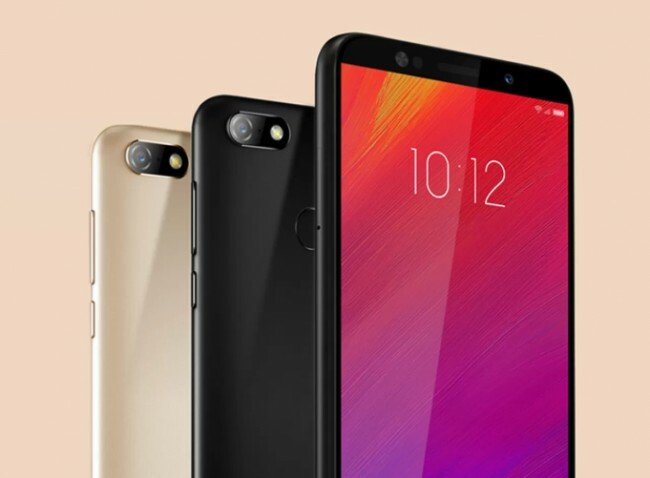 Lenovo A5 supports Network Type up to 4G LTE, Talking about the Sensors it has Fingerprint Sensor, Proximity Sensor, Accelerometer, Ambient Light Sensor. This phone has WiFi, FM Radio, Bluetooth, GPS. You can get this on Flipkart at Rs 5,999 for 2+16GB Variant. Talking about the Dimensions they are 70.86 x 146.2 x 9.8 mm with the weight of 160 g.
Stay tuned with Alloftop for more information on interesting devices like this.